The majority of Bujinkan practitioners will never fight for their lives. And this is good! So even if our martial art system has proved its valor in numerous encounters, its power resides in the values that sensei is teaching. Only a master can do that and in our case this our Sensei Masaaki Hatsumi. But his teachings can bear fruits and benefits to the receivers (us) only if we recognize him as a Master. This is only through this special relation linking the master and the disciple that this transmission can be done properly. Today the Bujinkan has spread all over the world and each country is filled with qualified teachers. But these technicians when they are able to do the techniques correctly are not always getting the intention hidden in the movements. We said in an earlier blog entry that waza is only the omote. The ura is formless and it develops itself into our heart through the values expressed by Sensei during class. This is why it is important to travel regularly to Japan as this is the only way to understand his way and to consider him as your true master. This is the Shin Gi Tai. The Gi (waza) and the Tai (body) are nothing if one doesn’t get the Shin (spirit). Without accepting the master and his values, one stays trapped in his ego. I am who I am because back in 1987, I decided to obey to one man, Hatsumi Sensei. I accepted to see the world through His filters and to abandon my freedom of decision in order to get more freedom. It might sound paradoxical but if you are looking for freedom the best way is then to let it go voluntarily. Less freedom momentarily leads to more freedom permanently. The waza becomes the means to free yourself from your own certitudes. I compare that with Zen. In order not to think you monopolize your thinking on the mechanical posture. This is the same in Budô, we focus on the movements to learn not to think. By doing so, the rest of your brain is at peace. Even in meditation the kamae is the key to our understanding. 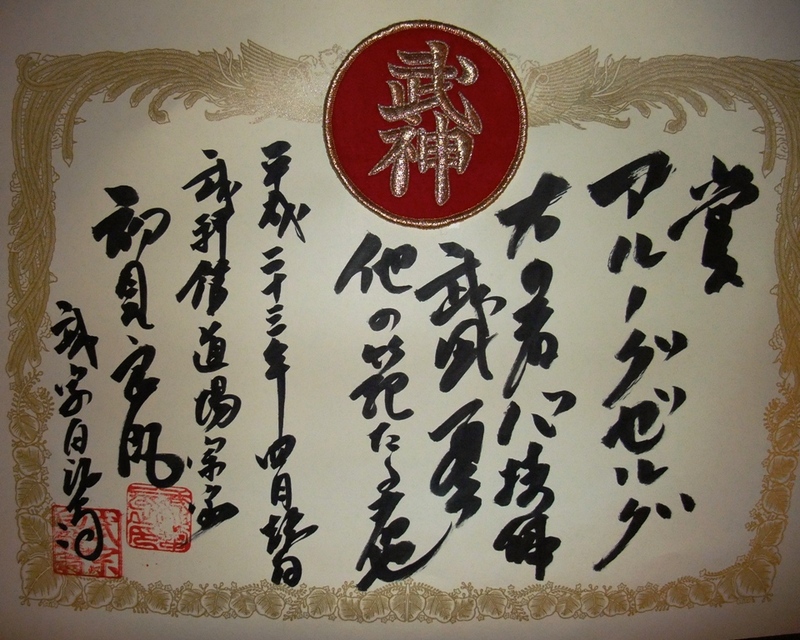 価値観 Kachikan (values) is developed by our ability to get rid of your 自由 Jiyû (freedom). Train with no intention (no reward), obey without thinking, learn the forms to forget them, and you will become free. Sensei often speaks of 住 jû (living) in his classes. Please be alive through jû in order to become 自由人 Jiyûjin, a free spirit. If you miss this fantastic opportunity Sensei is giving us, you will end up 自由刑 jiyûkei and be “depraved of your freedom”. Excellent post which raised a lot of question..